What Happened To The Dark Universe? Has Universal's monster movie franchise really bit the dust? The Dark Universe has had some real problems since its inception by Universal. Supposedly a collection of their classic horror monsters, the brand was meant to be their take on a wider cinematic universe that would be the spooky alternative to Marvel's ever-expanding superhero smackdown, poised with a central organisation at its heart - Prodigium - committed to hunting down supernatural threats. This was a great springboard to introduce all their separate properties, starting with The Mummy in 2017. Whilst we all know how well that went down (and if you don't, it went terribly in the eyes of audiences and critics alike, thanks for asking), the death of The Dark Universe was still a sad occurrence, especially since there was so many amazing names, stories, and monsters themselves poised to take part. Previously, this world was set to start with Dracula Untold, the Luke Evans starring massive-scale movie that fell straight on its arse when it came to critical reception. It was also the first in a series of mistakes the studio made, focussing on a super-hero like origin story of the famous vampire and using this blockbuster action template to fuel the rest of their horror monsters. In the process of making monster movies, Universal managed to actually forget to include the horror: a grievous error that cost them in the long run. Next came Tom Cruise's take on The Mummy, doomed before it even could hit screens by releasing a teaser trailer devoid of most of its sound that seemed to just show Cruise rolling around a falling plane whilst awkwardly grunting. Even with that PR mess to clean up, Universal soldiered on through, announcing The Dark Universe as a whole two weeks before the release of The Mummy - featuring Cruise as key adventurer, Sofia Boutella as the mummy herself, Russell Crowe as Dr. Jekyll, Javier Bardem as Frankenstein's monster, and Johnny Depp as The Invisible Man. The news came with a lovely image of them all looking friendly and badass together in the same room, which was another shot in the foot once the internet got wind of each of the actors being photoshopped into the image. Whoops. 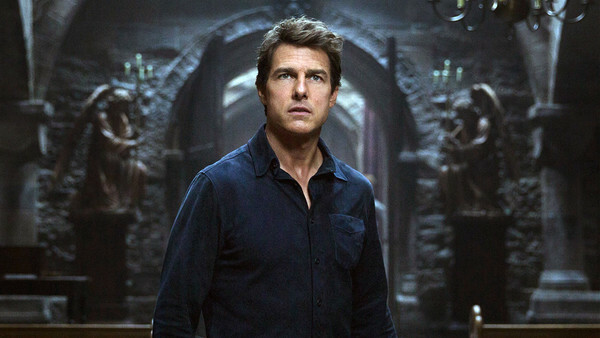 As we now know, The Mummy didn't live up to expectation and unraveled at the seams - continuing to tonally confuse audiences with giant action-adventure combined with 12A horror that just didn't really land firmly on either end of the spectrum. Shafting in a load of preparation for this shared universe was also mind-numbingly inappropriate for the first movie in the franchise, and eked out something that now is embarrassing to look back on as surprisingly, it's now been canned. Angelina Jolie's Bride of Frankenstein was the next to be officially on the cards, which was slated for a release this year, but has been lost to the system after lead producers/co-architects Alex Kurtzman and Chris Morgan left the studio. Everything else just got tided away neatly into development hell since the driving force of the franchise stalled and burned out.